Writing about the Maldives is probably one of the hardest things that I have ever done. The place is a photographer’s dream and in order to put that dream in a piece is really hard. It’s probably one of the most beautiful places I have visited or will ever visit in my travelling career. 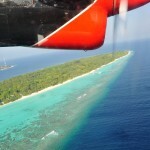 The small island Country is completely isolated even from the country itself (out of 90000 sq km only 279 sq km is land). All this inner travelling makes prices go quite high. So that makes it probably one of the most expensive places that I have ever visited as well. In this trip, my travelling buddy and partner Rochelle was with me. She had lived and worked there before. So with that knowledge and the connections that she had, we managed to cut the cost to half or more. 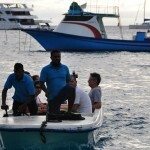 Our first taste of the Maldives was on top of Shachika, a boat that took us diving and cruising for the first six days. What a way to get an introduction to the country. It was a great choice and an unforgettable experience. 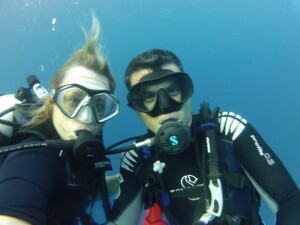 That was topped off with world class diving that the Maldives are famous for and without any doubt it’s all true. Whale sharks, black and white tip sharks, hammer heads, manta rays, eagle rays, grey reef sharks; you name it, the Maldives have it. From open blue water dives to off shore reefs, everything is a nature’s miracle. Antonio, the general manager and director of the cruise and his crew played a key role in making this an unforgettable experience. With this as a start, you would expect that the highlights are all covered. Wrong. 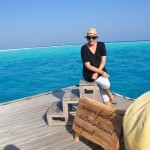 Soneva Fushi, an island resort and Rochelle’s previous job, was our next pleasant surprise. 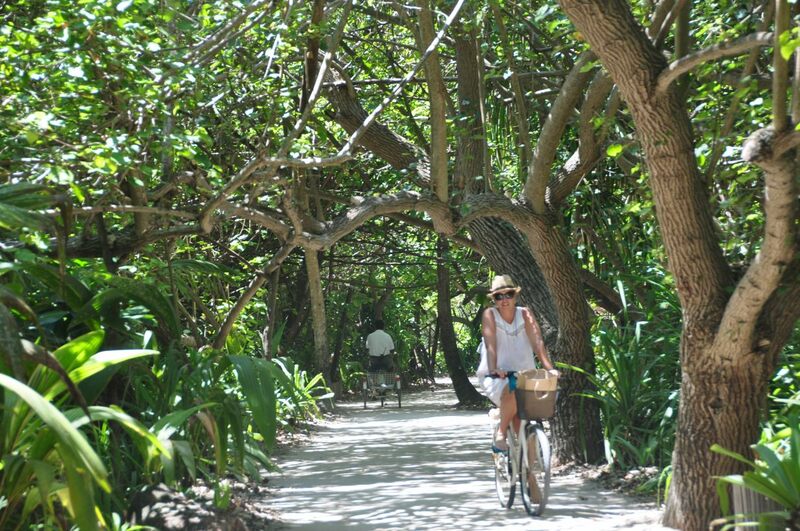 It’s 3km long and only 500m wide, an eco paradise with no cars. 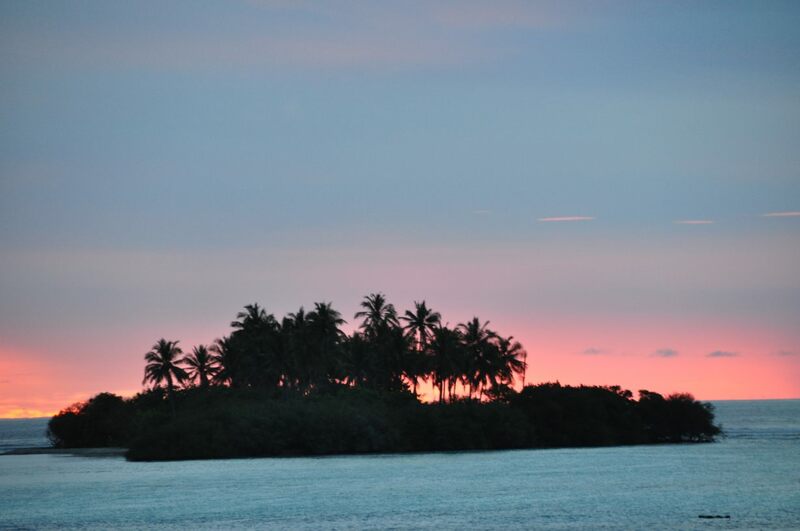 Everything you may have seen in the pictures or have in mind about a tropical paradise, that’s what Soneva Fushi was. Almost perfectly designed and executed, it had its own vegetable garden with an organic restaurant attached to it, a planetarium and my favourite, a chocolate room. However I can understand why the local staff talked about going crazy, even though I stayed there only for a while. It’s a paradise but it’s too small and too far from the civilization. For our last two days we chose Gili Lankanfushi, another island resort closer to the capital Male but even smaller than Soneva Fushi. All the villas here are built on the water over big poles. 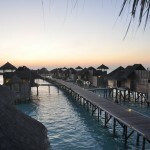 If you want to know what luxury is, the Maldives is the place to be. The infrastructure you find here is worth more than five stars. 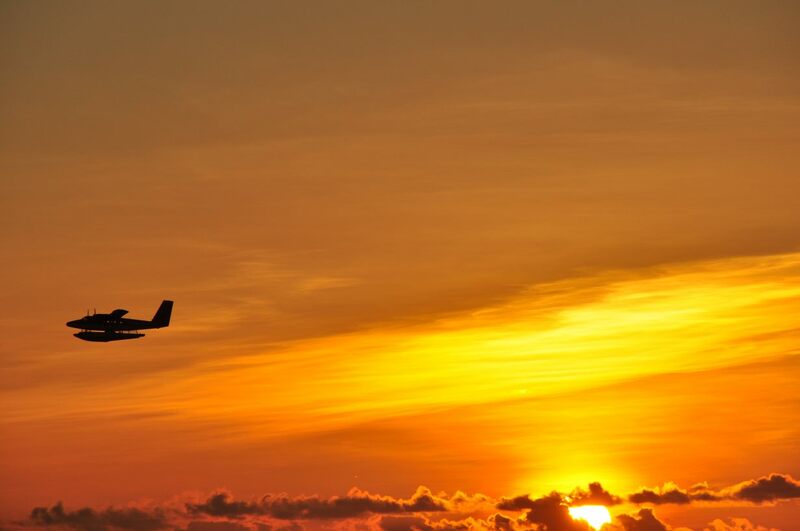 The quality of service is beyond any imagination. 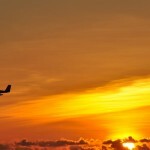 No wonder why every couple’s honeymoon dream is to come here. 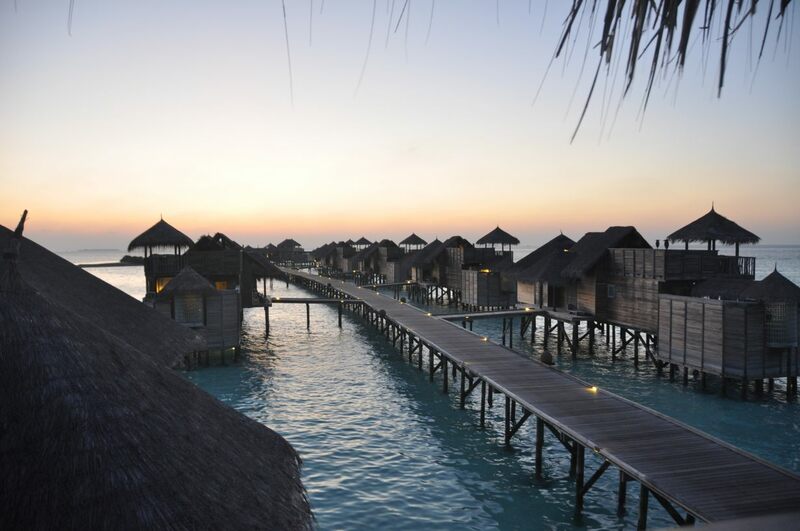 As overland diaries isn’t used to travelling in high luxury, I did a little research and for all you backpackers out there, the Maldives can be a travel destination for you. 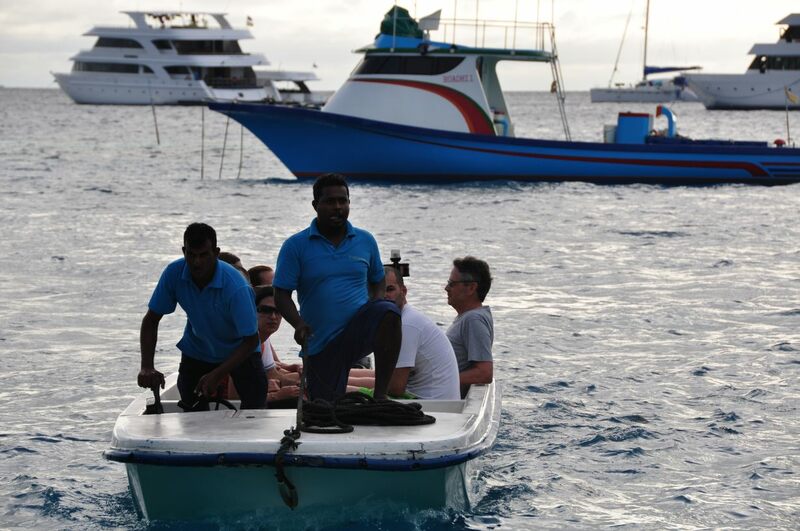 Recently the government introduced a public transportation system so you can hop from island to island. 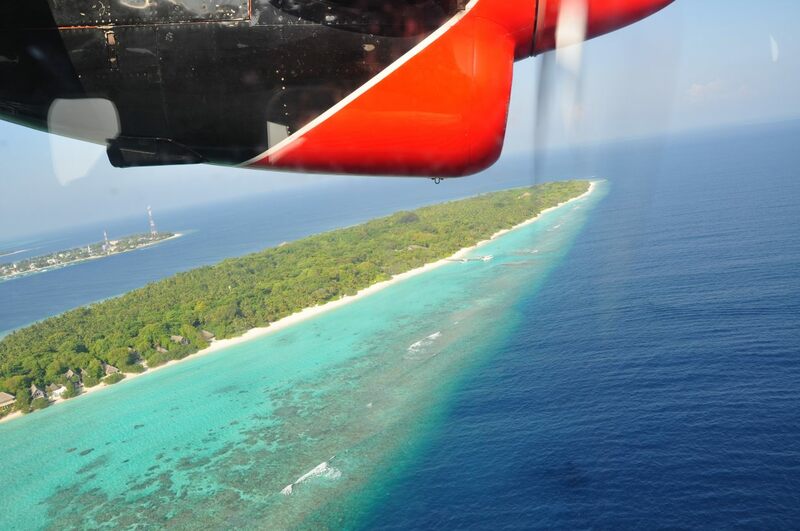 For the farthest ones you have the choice of sea planes that are very common in the Maldives. 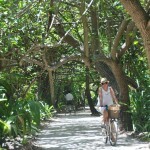 Also more and more guesthouses pop up here and there, targeting to more independent travellers. Of course you’re not allowed on the resort islands but you’re already in paradise. After spending almost two weeks in the Maldives, I had to leave this wonderful place. We talked with Rochelle about going back to work in the Maldives and although it’s overpriced and after a while you do feel isolated, in general it’s definitely the most beautiful place on the planet. Every small island has something unique to offer and if you want to talk about what’s underneath the water surface, I have nothing to say. Just watch the video. So buy a ticket to the Maldives. It will cost you but you’ll never regret it. 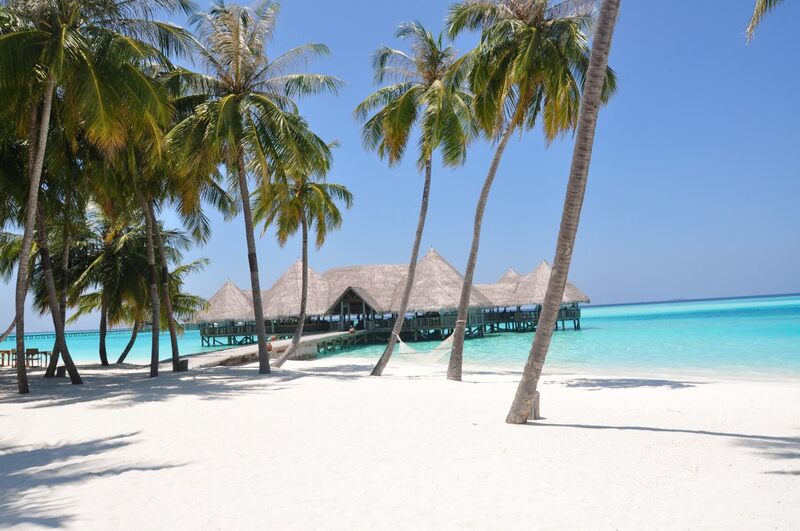 Unrivaled luxury,stunning white-sand beaches and an amazing underwater world makes the Maldives an obvious choice for a true holiday of a lifetime.